Supercharge your strategy and organize your marketing team with six free downloadable resources. Content Calendar Template (Excel): Manage every piece and campaign in one place. Social Media Calendar Template (Excel): Plan every post ahead of time. Email Marketing Calendar Template (Excel): Schedule newsletter content and delivery dates. How to Learn Any Marketing Skill Guide (PDF): Improve any skill with this research-backed learning methodology. 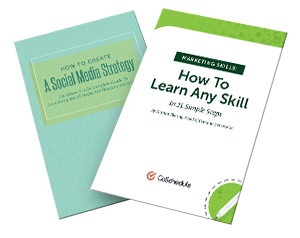 Social Media Strategy eBook (PDF): Includes a foreword from Jay Baer. What Is Makeshift Marketing? Infographic (PNG): It’s the most common killer of marketing productivity (and it could be derailing your success). Plus, you’ll receive weekly email updates packed with more actionable advice and templates. Sign up now and level up your marketing career with CoSchedule.